The JQH research group focuses on applying/developing varied advanced transmission electron microscopy techniques (HADDF, HREM, EELS, EDS, Lorentz TEM, electron holography, electron tomography, in situ TEM and so on) to determine the nanostructures/atomic structure of energy materials, thus providing insight into observed physical properties.This is of particular importance as electronic devices scale to ever vanishingly small dimensions, when the detailed arrangement of atoms at interfaces even inside materials begins to critically influence material properties. 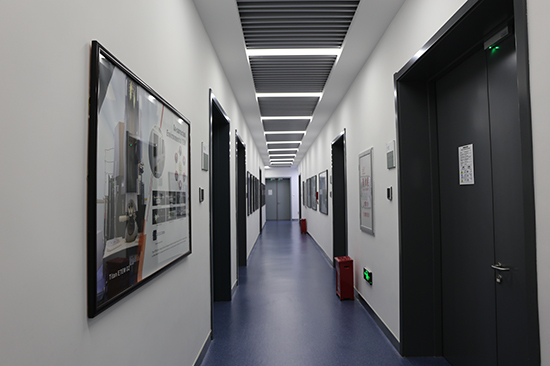 We focus on three research areas: Transmission Electron Microscopy; Thermoelectric Materials; Structure-property Relationship. I. H. J. Wu, L.-D. Zhao, F.S. Zheng, D. Wu, Y. L. Pei, X. Tong, Mercouri G. Kanatzidis, J. Q. He. 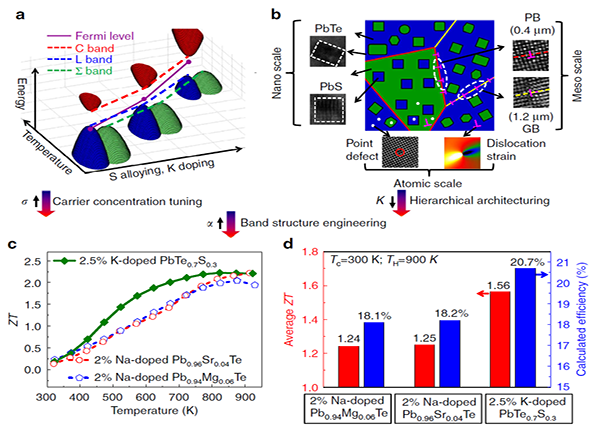 Broad temperature plateau for thermoelectric figure of merit ZT>2 in phase separated PbTe0.7S0.3, Nature Communications , 5(2014)4515. II. D. Wu, X. Tong, L.D. Zhao, W. Li, L.J. Wu, Q, Tan, Y.L. Pei, L. Huang, J.F. Li, Y.M. Zhu, M.G. Kanatzidis and J. Q. He. 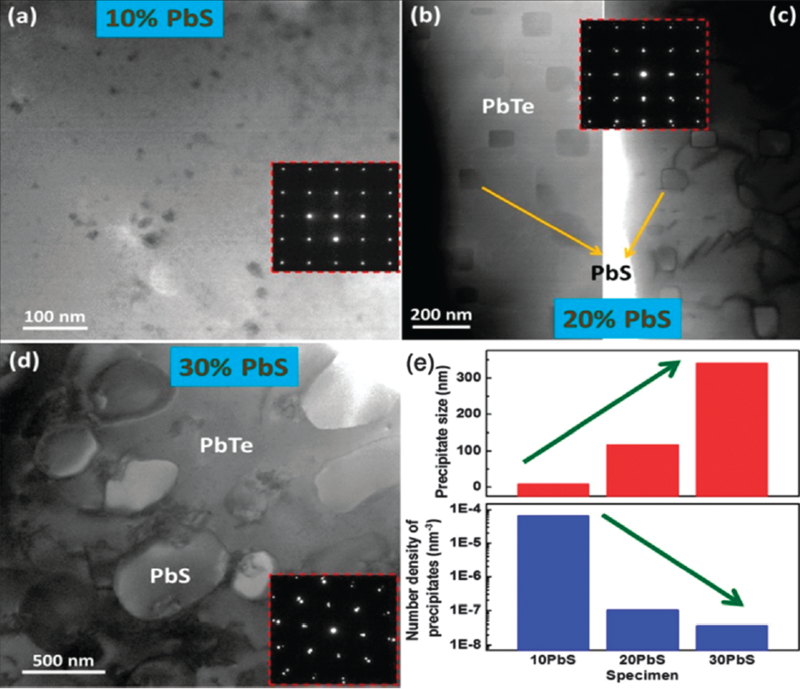 Superior Thermoelectric Performance in a PbTe-PbS Pseudo-binary: Extremely Low Thermal Conductivity and Modulated Carrier Concentration,Energy and Environmental Science, 8(2015)2056. III. D. Wu, L.-D. Zhao, F.S. 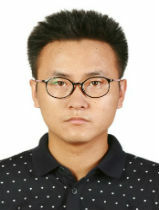 Zheng, M.G. Kanatzidis and J. Q. He. 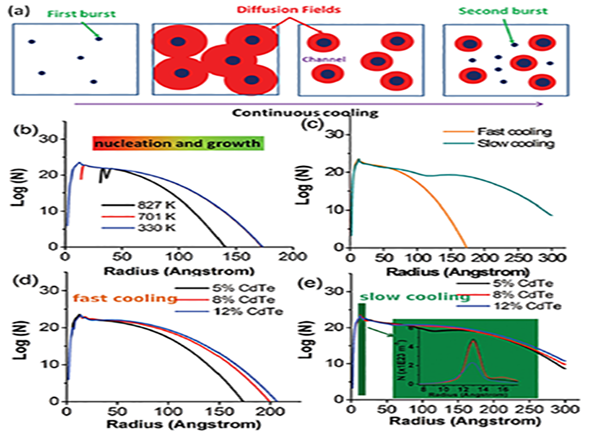 Understanding the Process of Nanostructuring in Thermoelectrics and its Effects on Lattice Thermal Conductivity, Advanced Materials, 28(2016)2737. IV. Q. Lu, W. Li, D. Wu, C. Chang, Y. Guo, C. Zhou, M. Wu, X. Ma, H. Qin, G.Wang, L.-D. Zhao, L. Huang, C. Liu, and J.Q. He. 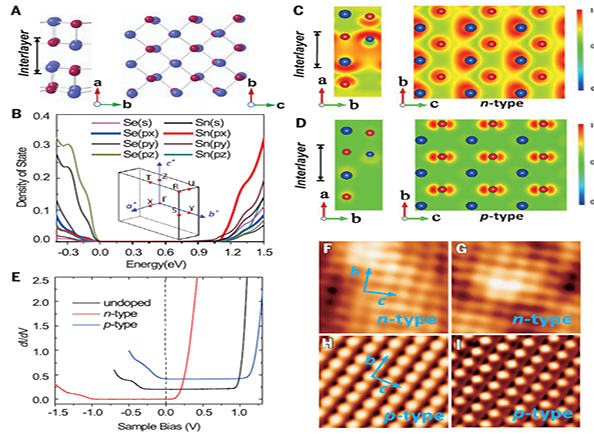 Unexpected large hole effective masses in SnSe revealed by angle resolved photoemission spectroscopy, Physical Review Letters, 119(2017)116401. V. C. Chang, M. Wu, D. He, Y. Pei, C.Wu, X. Wu, H. Yu, F. Zhu, K. Wang, Y. Chen, L. Huang, J. Li, J. Q. He*, L.D. Zhao*. 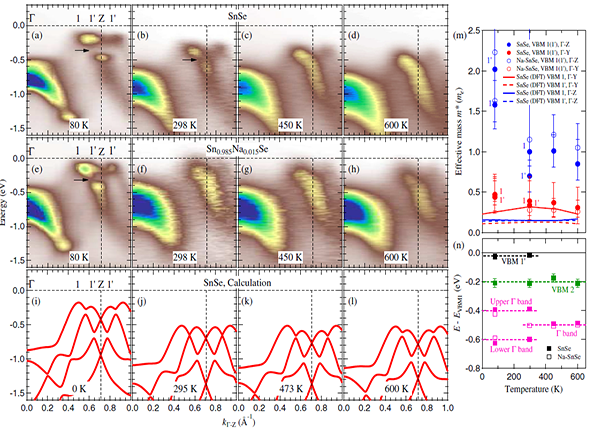 3D charge and 2D phonon transports leading to high out-of-plane ZT in n-type SnSe crystals, Science, 360(2018)778. Di 's paper is accepted by Advanced Functional Materials. Congratulations and well done! Cheng Chang and Dongshengs' paper is accepted by Science. Congratulations and well done! 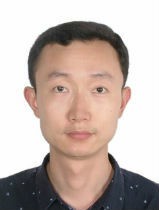 Liangwei 's paper is accepted by EES. Congratulations and well done!